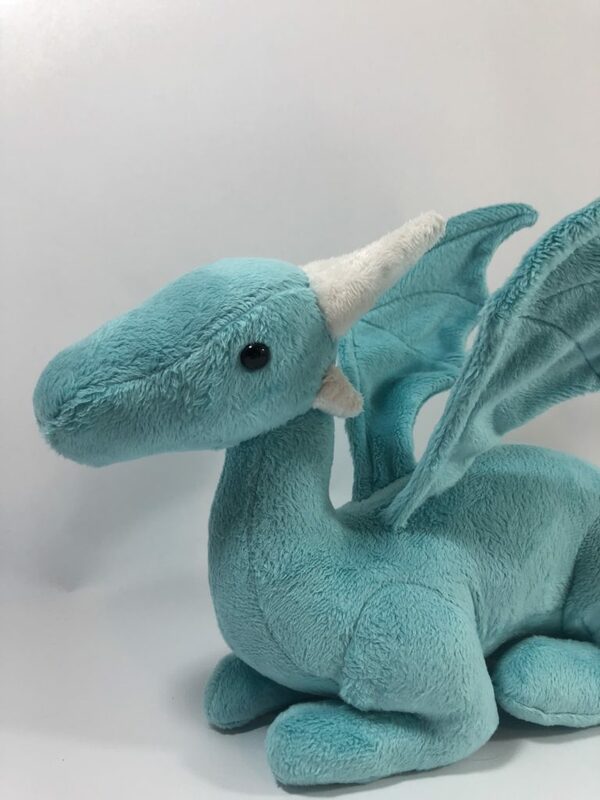 There are so many terrible commercial dragon plush out there, folks. They are all either too scary or too goofy. 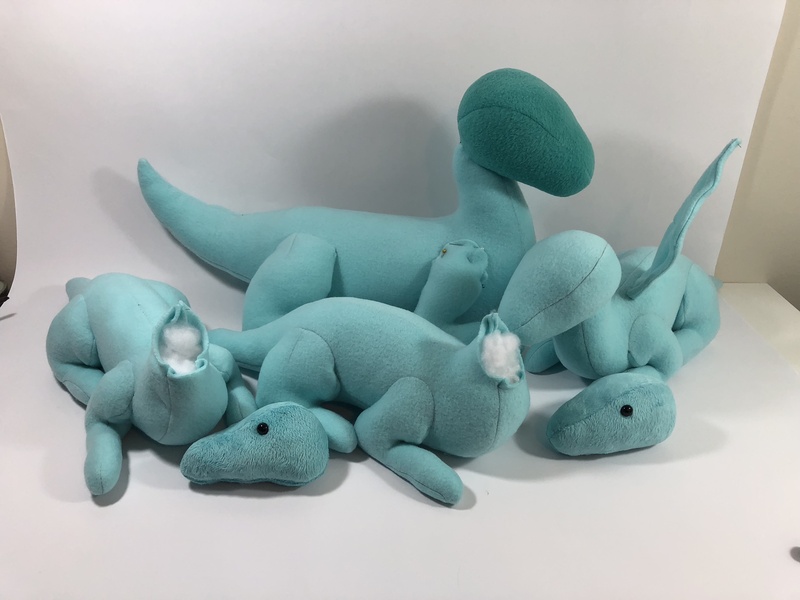 As far as indie pattern designers go, Choly Knight has some great little dragon designs, but I’ve been interested in something that’s still cute but not so stylized and chibi. So I set off to design my own pattern. Many months later, I can finally say I have accomplished what I set out to do. Meet Tiff, my first original dragon! I’m so happy with the body and head shapes, and also how the legs are fully sewn via machine. 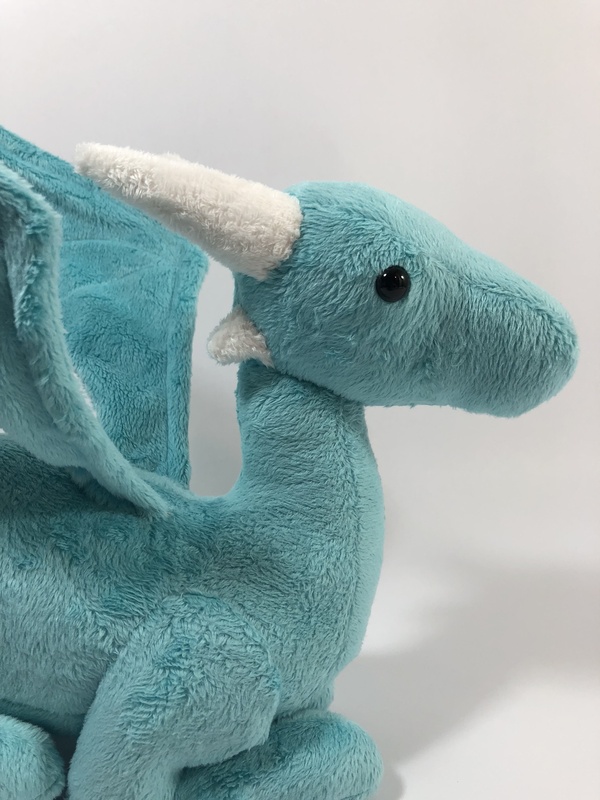 The only hand-sewing involved is with closing stuffing holes, attaching the head, and attaching details like the horns and wings. The wings are wired and posable. 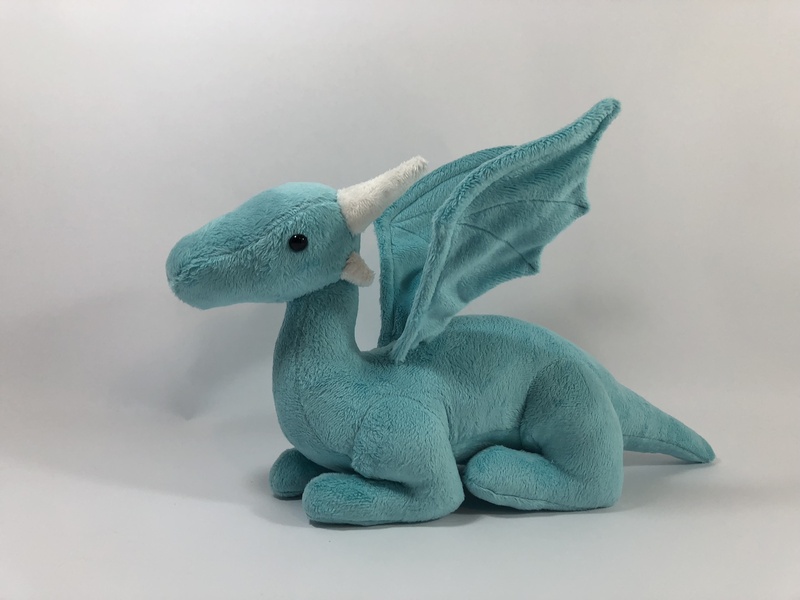 I think this design balances cuteness and majesty in a way I don’t usually see in dragon plush toys. Here are a few of the many prototypes I sewed while working on this pattern! I started out using fleece, but I think I stuck with it too long. Fleece is much stretchier than minky, and I should have switched over to minky sooner. This led me to being stuck in foot-sewing hell as I tried again and again to get them to look right. I think if I had switched to minky after getting the basic shapes down, I would have been able to finalize it sooner. Of course, testing with minky is more expensive, but late in this process I wouldn’t mind spending a little more if it meant I would not have had to sew so many feet!! I am going to make a few more in different kinds of fabric to see how it goes. I am interested in experimenting with different details such as different size and shape horns, claws, back ridges, and so on. I’m not sure if I’m going to sell this pattern at some point, but I may have a few dragons for sale in the future. If you’re interested in a custom dragon, send me an email (alexlynncrafts at gmail), and we can chat!